With the Treaty of Hudabiya, the blood feud continuing between the Banu Bakr ibn ‘Abd Manat and the Banu Khuda'a since the Age of Ignorance was abolished. The Banu Bakr had allied with the Quraysh and the Banu Khuda'a with Prophet Muhammad. However, supported by the Quraysh, the Banu Bakr carried out an attack by night on the Banu Khuda'a and killed several tribal members alongside tribal chief Ka’b ibn ‘Amr. Sending a delegation to Madina, the Banu Khuda'a requested help from the Prophet. The people of Khuda'a had in actual fact viewed warmly Prophet Muhammad and the religion that he conveyed from the very beginning, had provided assistance to the Muslims in the field of intelligence in particular and, by the Treaty of Hudaybiya, all members of the tribe had embraced Islam. Prophet Muhammad sent a letter to the Quraysh asking them to abandon their alliance with the Banu Bakr or pay the blood money for the members of the Banu Khuda'a who were killed. The contrary would mean the breach of the terms of the Treaty of Hudaybiya – whereby hostilities between the Quraysh and the Muslims and their respective allies which was forbidden – and thus constitute grounds for war. Accepting neither paying to pay blood money nor abandoning their alliance with the Banu Bakr, the Quraysh sent Abu Sufyan to Madina with the purpose of renewing the treaty. However, Abu Sufyan returned to Makka without having reached a favorable outcome for his efforts in Madina. Deciding upon an expedition to Makka, Prophet Muhammad started preparations for such, keeping the details of the destination a secret in order to avoid bloodshed and to catch the enemy unawares. Sending word to the Muslim tribes, he asked them to gather in Madina. So as to conceal the actual strength of the Muslim army, he asked some of the tribes to join the army along the way. All exits from Madina were banned and, by means of watchmen being posted at important Makka-Madina passage points, travel to Makka was prohibited. The courier sent by Khatib ibn Abi Balta'a, who wanted to inform the Quraysh of the Muslims’ preparations, was intercepted by the Companions, which the Prophet assigned for the task after having been informed of this situation through revelation. Moreover, a reconnaissance unit led by Abu Qatada al-Ansari was dispatched to Batn al-Idam, on the Makka-Madina route, in order to surprise the Makkans. Leaving Abu Ruhm in charge of administrative affairs in Madina and 'Abd Allah ibn Umm Maktum as his deputy, the Prophet set out from the city with his army on 13 Ramadan (4 January, 630). Due to the fact that he kept the destination of the military expedition secret, he continued on his journey without donning the pilgrim dress (ihram) at the fixed point* in Dhu’l-Hulayfa and camped at Marruz Zahran. The Muslim army reached 10,000 with those who joined along the way. Learning of the Muslim army’s arrival at the gates of Makka and experiencing great panic, the Quraysh sent a delegation headed by Abu Sufyan to Prophet Muhammad. Allowing the delegation to stay overnight in his headquarters and ensuring that they were able to watch the marching army squadrons, the Prophet invited them to accept Islam. Not wanting to risk confronting such an army, Abu Sufyan and his delegation returned to Makka having accepted Islam. In view of this situation, the people of Makka realized that they could resist the Muslim army no more. Abu Sufyan told the Quraysh gathered in the courtyard of the Ka’ba that he had embraced Islam and that they had no other option but to surrender, and advised them to take shelter in Masjid al-Haram (the Sacred Mosque surrounding the Ka'ba) or in their own homes. This essentially meant the surrender of Makka. Granting those seeking refuge in the homes of first and foremost Abu Sufyan and then Umm Hani, Hakim ibn Hizam, Abu Ruwayha and Budayl ibn Warqa right of asylum, he honored them and wanted to warm their hearts to Islam. Coming to Makka after Abu Sufyan, the Prophet’s uncle ‘Abbas uttered the same words to the Makkans; the people then dispersed to the Sacred Mosque or to their homes. Planning to enter Makka from four flanks simultaneously, Prophet Muhammad instructed his commanders not to fight unless they were attacked, not to pursue those who fled, not to kill those who were wounded or captive, and to meet him at the hill of Safa. He then commanded Khalid ibn Walid, who led the right flank, to move first. Entering the city from Lait in the south – wherein the squadron led by Safwan ibn Umayya and comprising notable Makkans such as Ikrima ibn Abi Jahl and Suhayl ibn ‘Amr as well as allied forces were stationed – Khalid ibn Walid, defeating this force, crushed the sole resistance during the conquest. Those escaping with their lives asked for mercy, either by taking shelter in their homes or by putting down their weapons. In the skirmish, twelve or twenty-six Makkans and two or three Muslims were killed. The unit of the Ansar (Helpers) led by Sa'd ibn 'Ubada entered from Makka’s west, while the left flank comprising the Emigrants and led by Zubayr ibn ‘Awwam entered the city from the north. 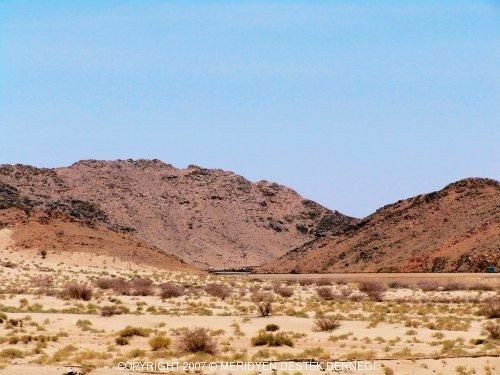 At the head of the central squadron, Prophet Muhammad followed the Az-Zahir road from Makka’s upper northwest, and with the Emigrants and Helpers accompanying him, entered Makka in praise and gratitude to God; he camped at Al-Hajun and met the other units at the hill of Safa (20 Ramadan/11 Ocak, 630). Subsequently going to the Sacred Mosque, Prophet Muhammad greeted the Black Stone, kissed it and circumambulated around the Ka’ba. In his address to the people, he stated that Makka was a sanctuary and that its status as such would remain, that he had annulled all the duties pertaining to the pilgrimage and administration of the Ka’ba except for its maintenance and protection (hijaba/sidana) and the service of providing water to travelers and pilgrims (siqaya), and that he had assigned the former duty to ‘Uthman ibn Talha and the latter to his uncle ‘Abbas. Thereafter he declared general amnesty. He announced that those seeking shelter in the Sacred Mosque, in the homes of those individuals mentioned earlier or in their own homes, as well as those laying down their weapons were safe, that those taken captive would not be killed and that no one would face prosecution. Prophet Muhammad displayed an example of forgiveness rare in the history of humanity by forgiving the Quraysh who showed hostility to him and the Muslims at every opportunity for the past twenty years, despite the fact that he was now in a position to punish them. The day of conquest became at the same time a true ‘day of mercy’. The possessions and property of no one was touched and prisoners were released. Only ten people, known for their extreme hostility towards the Prophet and the Muslims, were excluded from the general amnesty. Only three of these people were executed, some like Ikrima ibn Abi Jahl fled, while others were forgiven. After purging the Ka’ba – the symbol of belief in God’s unity – and its surroundings from the idols as well as the tokens of ascribing partners to God, of Prophet Muhammad prayed two cycles of prayer within the Ka’ba. He asked Bilal al-Habashi to climb to the roof of the Ka’ba and recite the Call to Prayer. With Bilal’s recitation, the Quraysh – men and women – came to the Prophet’s presence and accepted Islam. These people who were released without having been subjected to treatment as prisoners of war were referred to as tulaqa (freed slaves). Meanwhile, those like Safwan ibn Umayya who wanted time to consider whether or not they would accept Islam were given a grace period of four months. For the period in which he stayed in Makka, Prophet Muhammad stayed in a tent in Al-Hajun. When it was suggested to him that he stay in his own house, the Prophet alluded to his paternal cousin Aqil ibn Abi Talib, who was not Muslim at the time, having sold his house after the Emigration to Madina, stating, “Has Aqil left us a house!” He did not consider taking back the house even though he was the conqueror of the city. With his words, “There is no emigration after the conquest” (Tirmidhi, “Sirah,” 33), he expressed the fact that emigration to Madina had ended with Makka’s conquest and that emigration was no longer mandatory. It is recorded that the word Nasr (help), the eponym of the 110th Qur’anic chapter entitled Al-Nasr, indicates victory over all the Arabs, and that the word fath (victory) in the same chapter points to the conquest of Makka. In addition, the Chapter Al-Fath alludes to the Treaty of Hudaybiya and, accordingly, to the conquest of Makka. Staying in Makka for some time after the conquest, Prophet Muhammad appointed ‘Attab ibn Asid as Governor of Makka and assigned Mu'adh ibn Jabal to teach the Qur’an and essentials of the Islamic faith to new Muslims and then realized the Battle of Hunayn – as will be mentioned later – against the Hawazin tribes. Thereafter he returned to Madina with the Emigrants. With the conquest of Makka, the hostility of the Qurayshi polytheists towards Prophet Muhammad and the Muslims came to an end and the obstacles in the way of the spread of Islam in the Arabian Peninsula’s Hijaz region were lifted. During his stay in Makka, Prophet Muhammad charged certain Companions with the task of destroying the idols belonging to surrounding tribes. Among the idols destroyed were Manat, Suwa, and ‘Uzza. He then began to organize expeditions for the purpose of inviting the city’s neighboring tribes to Islam. On 8 Shawwal (February, 630), he sent Khalid ibn Walid at the head of a unit of 350 men to the Jadhima ibn Amir tribe living to Makka’s south. Khalid asked them to lay down their arms and accept Islam. After some dispute, they consented to putting down their weapons and stated “Saba’na”, meaning “We have changed our faith,” so as to express that they had become Muslim. However, believing that they had not taken up a strong enough stance, and taking into consideration their former enmity, Khalid ibn Walid took them as prisoner, handing them over to his soldiers, and commanded their execution the following morning. Carrying out the command, the troops – members of the Banu Sulaym – killed around thirty prisoners. The Companions from the Emigrants and the Helpers however released the prisoners, convinced that they were Muslim. Learning of these developments from a prisoner who escaped to Makka, Prophet Muhammad was deeply grieved and distressed and rebuking Khalid for making a rash judgment as their status exclaimed, “O Allah, I am innocent of what Khalid has done!” thus showing his disapproval of such action. The Prophet then sent ‘Ali to the Banu Jadhima in order to pay the blood money for those who were killed and, compensating them abundantly for any material damage inflicted on them, he alleviated their suffering and reconciled their hearts. * Fixed points (mawaqit) at which pilgrims must declare their intention to perform the major or minor pilgrimage and enter the state of ihram. These places were specified by Prophet Muhammad. Please type '216' into this field. This is sufficient, but I want the significance of the conquest of Makkah, not the events!!! Anyways, great work and keep it up!